The Valley Project details life in two American communities, one Northern and one Southern, from the time of John Brown's raid through the era of Reconstruction. In this digital archive you may explore thousands of original letters and diaries, newspapers and speeches, census and church records, left by men and women in Augusta County, Virginia, and Franklin County, Pennsylvania. Giving voice to hundreds of individual people, the Valley Project tells the forgotten stories of life during the era of the Civil War. Television News of the Civil Rights Era aims to collect, digitize, and present in streaming video format over the World Wide Web television news footage from the period and to make these valuable materials available to scholars, teachers, and students. The current archive contains films from the nightly news from two local television stations in Virginia--WDBJ (CBS) Roanoke and WSLS (NBC) Roanoke. In this initial installment we have digitized over 230 films. This rare footage includes full speeches of Martin Luther King, Jr., John F. Kennedy, Richard M. Nixon, the governors of the Commonwealth of Virginia, as well as original footage of school desegregation, public meetings, local debates over civil rights matters, and interviews with citizens. ACWC: Educational Web Companion serves as an interactive teaching tool that complements the student and teacher experience at the The American Civil War Center at Historic Tredegar. We have created a history lab online where educators may analyze the Civil War with assistance from numerous lead historians and scholars. The Virginia Emigrants to Liberia Project includes a searchable database of nearly 3700 Virginia emigrants to Liberia and nearly 250 Virginia emancipators, a timeline of relevant events and documents between 1787 and 1866, a compilation of important related sources, links to related research websites and news of Liberia today. 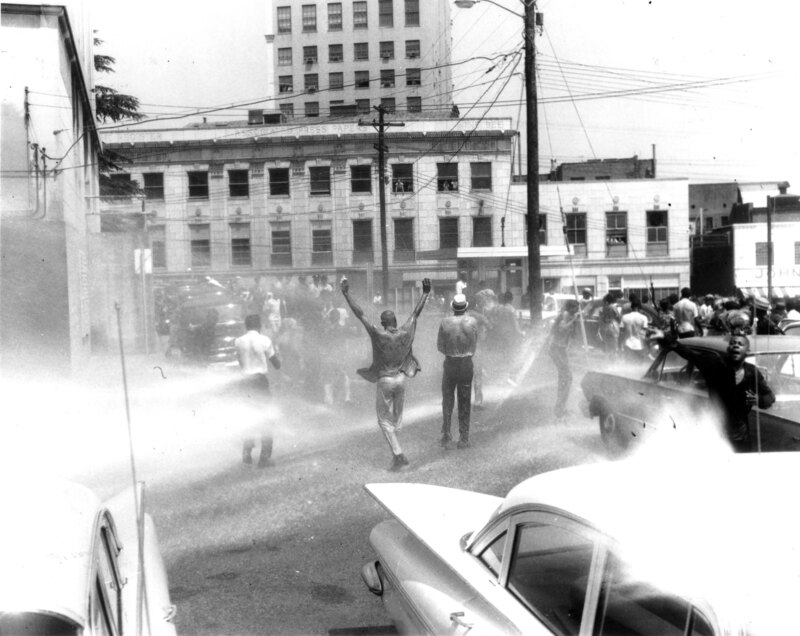 The Danville Civil Rights Movement examines the responses of ten Danville residents to the long civil rights struggle that occurred in their hometown. Text by Emma C. Edmunds is accompanied by the work of Charlottesville photographer, Tom Cogill, who took portraits of individuals who shared their stories. 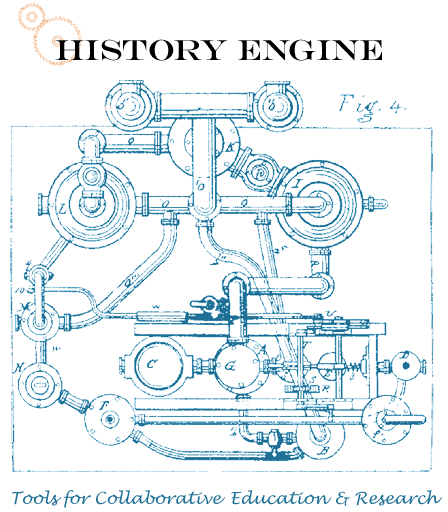 The History Engine is a teaching and research tool that allows students to collaborate with fellow students. By compiling the research of undergraduates into a single comprehensive database, the History Engine provides students and teachers access to a wide-ranging portrait of life in the nineteenth-century South. The Countryside Transformed is a collaborative effort of the Eastern Shore Public Library and the Virginia Center for Digital History of the University of Virginia. The project has been supported by grants from the National Endowment for the Humanities and from the Fair Play Foundation. The Virginia Foundation for the Humanities and Public Policy provided discretionary funds for developing a bibliography of maps. The Geography of Slavery is a digital collection of advertisements for runaway and captured slaves and servants in 18th- and 19th-century Virginia newspapers. Building on the rich descriptions of individual slaves and servants in the ads, the project offers a personal, geographical and documentary context for the study of slavery in Virginia, from colonial times to the Civil War. The Dolley Madison Project provides a window onto the domestic, political, and social worlds of Dolley Madison and on the development of elite Washington, D.C. society in the early national period. The Ground Beneath Our Feet is a documentary film series and website about Virginia's history after the Civil War. One Hundred Years of Life on the Lawn is an electronic exhibition which documents continuity and change in the various University communities who have called the Academical Village home since 1895. The exhibition incorporates research gathered by the Office of University Development for the publication of the University of Virginia Lawn Resident Directory, 1895-1995 as well as information generated by projects sponsored by the Rotunda Fire (1895) Anniversary Committee. The materials presented here yield both a record of the collaborative inquiry initiated by the University over the past year as well as views of life at the University of Virginia in the twentieth century. Wednesdays in Mississippi documents Northern women of different races and faiths who traveled to Mississippi to develop relationships with their southern peers and to create bridges of understanding across regional, racial, and class lines. By opening communications across societal boundaries, Wednesday's Women sought to end violence and to cushion the transition towards racial integration.